Popping open straight from the circular carrybag, the open-fronted design with integral groundsheet in durable polyethylene ensures protection on three sides from sun, wind and light rain without blocking the view – especially useful when keeping a watchful eye on your children. Guylines help to hold the shape. 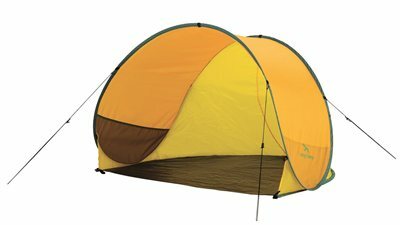 Cool tent which works perfect as wind shelter on my kayaktrips.